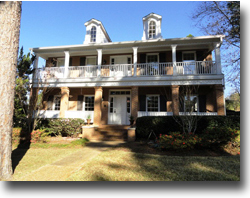 Audubon Place in Fairhope, AL is near the heart of downtown and approximately 1 mile from Mobile Bay to the West. The Audubon Place community is just West of Hwy. 98 and about 1 mile from Fairhope Ave. which is the road traveling through the business district of downtown. Audubon Place homes are centrally located and close to a variety of Fairhope attractions and also Mobile, AL and Pensacola, FL, both of which have regional airports making air travel convenient. Fairhope, AL has consistently been voted one of the best places in the entire United States to call home. Audubon Place is also less than 30 minutes from the beautiful beaches of the Alabama Gulf Coast and all of the area attractions like the Gulf Shores Hangout, Lulu's and the Wharf Amphitheater. If you need further info, have questions or would like to schedule a viewing for any of the homes for sale in Audubon Place or any other properties in the area, please email info@condoinvestment.com or call 251.Area.Pro (251-273-2776) for immediate assistance.